Officials investigating a house fire in Griswold, where two people were found dead, said that fire is connected to a car fire 40 miles away in Glastonbury and they have developed a person on interest in the case. Firefighters responded to 70 Kenwood Estates in Griswold around 5:15 a.m. Wednesday after a neighbor called 911 to report a fire and crews found one body in the charred remains of the home. Later in the day, state police found a second body in the house. What caused the two deaths is not known and the office of the medical examiner will conduct an autopsy to determine that and identify the two victims. Griswold Volunteer Fire Chief Tom Holowaty said three adults lived in the house and it is not immediately clear if any of the victims were the home’s residents. Some of the residents have not been accounted for, police said. On Wednesday afternoon, police said there was a link between the house fire and the abandoned car found in flames at the Glastonbury Luxury Apartments in Glastonbury Wednesday morning. State police said the car’s VIN number was connected to the Griswold home, but did not provide any details of how they were linked. 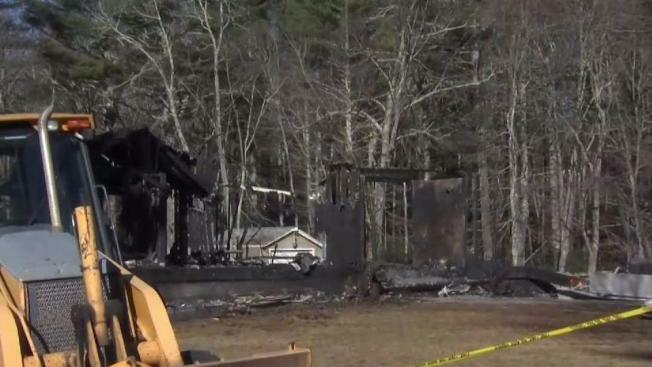 State police said Thursday morning that they have identified a person of interest in the Griswold house fire, but they are withholding the person’s name as detectives continue their investigation. Detectives from the Connecticut State Police Fire and Explosion Unit and Eastern District Major Crimes Unit are assisting with the investigation in Griswold.